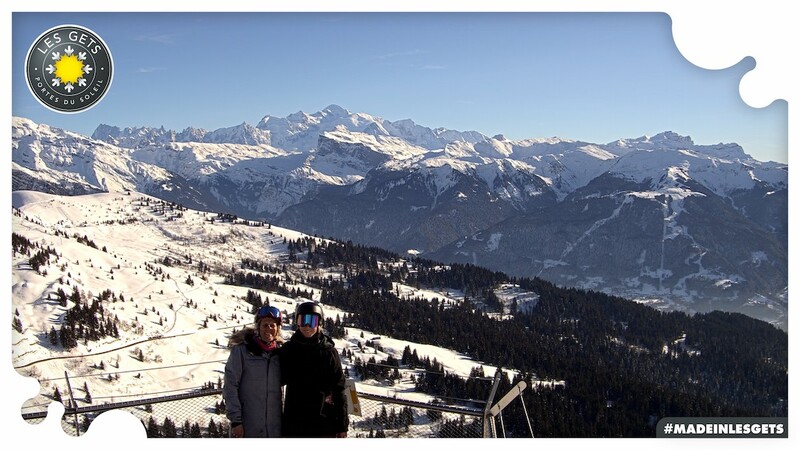 The Ranfoilly view point is new to the Morzine and Les Gets area this winter and it serves up one of the best views in the Portes du Soleil (perhaps even in the alps!). It offers glorious views of the majestic Mont Blanc… plus a free photo shoot too so you can take home some mega holiday group snaps! From the top of the Ranfoilly Express chairlift, you will see a new platform that perches out over the mountain edge offering a stunning panorama. 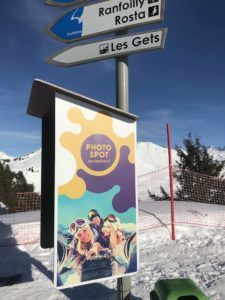 There is also a free “photo booth” activated by your lift pass – the system is automatic, there are clear instructions to follow and the picture will be appear on the screen and can then be emailed to you once you enter in your details. It’s very easy and offers a fantastic holiday moment with no need for one of the family to be hidden behind the camera! TC DU PLENEY >>> TS BELVEDERE >>> CHAVANNES EXPRESS >>> RANFOILLY EXPRESS >>> viewpoint! It’s definite must see on your holiday with us in Morzine!